Hey guys, I know, I know, it&apos;s been like 50 years but its finally here, don&apos;t worry I&apos;ve still been writing during this entire time, I just haven&apos;t typed any of it, so now I&apos;l be transferring most of my work this week to my laptop. Thanks for being such awesome fans, please vote, it&apos;s just a click away. “He was the one to protect you right?” I nodded slowly, holding back tears. “I know but you’ll be leaving tomorrow.” He quieted, his eyes turning silver. “Galen what does it mean when your eyes change colors?” I asked, curious. “Do you know what silver means?” He shook his head. I pulled myself into a sitting position, glancing around the room and spotting a blue leather bound book on the bookcase. I slid off the bed but my legs felt like jello beneath me. “There’s something I need to see.” I mumbled, making my way to the bookcase and withdrawing it from the rest of the dusty books. “Wait Skyler, I dunno if you should-” I cut him off, pushing him back as he reached for it. ‘The male vampire can reach up to 200 miles per second. Muscle strength and hormones become more induced due to the imbalance of a newborn vampire’s blood, a defense mechanism against predators such as the werewolf or solstice vampire.’ I read silently. I flip through a couple more pages seeing an illustration of Dracula drinking the blood of a maiden. I read the caption below it. ‘The story of the Dracula contains only small truths within the myth. Vampires enjoy the blood of maidens, it is a powerful draw to any nearby because of the purity they have. Vampires are usually considered dark creatures because of their lust blood but it’s to cover up their craving for sexual needs. 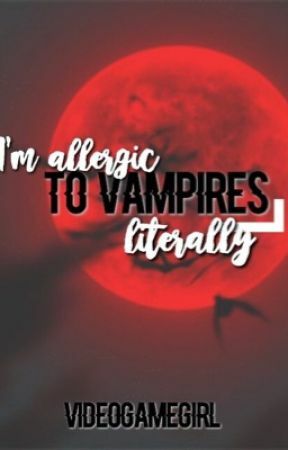 That’s where the saying “a night of passion” came from because of the physical fulfillment vampires can give to maidens.’ I blushed, a bright red. “Sky what did you read?” He asked nervously. “Nothing!” I said quickly, glancing at the eye chart.